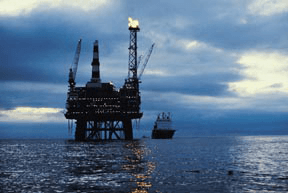 In offshore oil fields, “kicks” or blowouts due to downhole pressure surges can result in an uncontrolled flow of fluids from the well, and may cause serious formation damage. To guard against these events, a Blowout Preventor (BOP) consisting of a set of hydraulically operated valves or rams is placed at the well opening and is used to safely shut-in the well. In this application, Flow Technology’s turbine flowmeters are used for precise sensing of hydraulic fluid flow during activation of the BOP. Meters monitor flow on the surface at the hydraulic power unit (HPU), and on the sea floor at the BOP. These meters are specifically designed to withstand the extreme water hammer effect within the hydraulic system, as well as the demanding external environment on the ocean floor. This equipment provides accurate flow information which allows leakage or other problems within the hydraulic system to be detected prior to catastrophic failure.